Welcome to the Spooky Painting competition. You may have seen it already on our Facebook page, we are running another painting competition. Now it’s been a while since the last one we ran, but everyone had such fun last time. So we have decided to bring it back. This months theme is ‘Spooky’ whether it’s a ghost or ghoul goblin or monster. Get a photo taken and posted either here or on facebook either bare or undercoated. Then post another picture before the end of November showing your progress. To be eligible to be declared the winner the model, including the base must be finished. This is my entry for the Spooky Painting Competition, the ghostly Halloween version of Blackheart for the game Guild Ball. I also have Sepulchre Guard for Shadespire as well. So getting one model painted in a month is normally a big challenge for me but I’m aiming for 8 this month. To see more of my painting blunders and adventures you can see my Tales of an Under Average Painter articles. What are you going to paint? 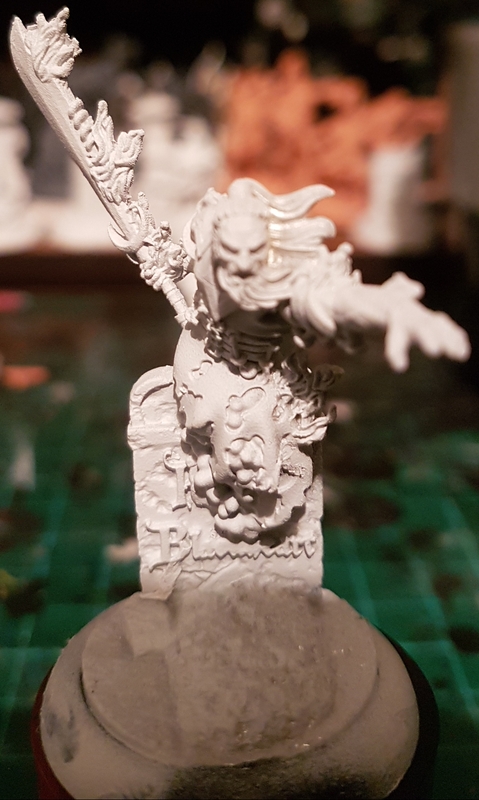 Let us know and show us those spooky themed models and conversions. Let us know in the comments. As always, stick with us on Facebook for all the latest. Supporting us via Patreon means we can keep bringing more content to you, too!